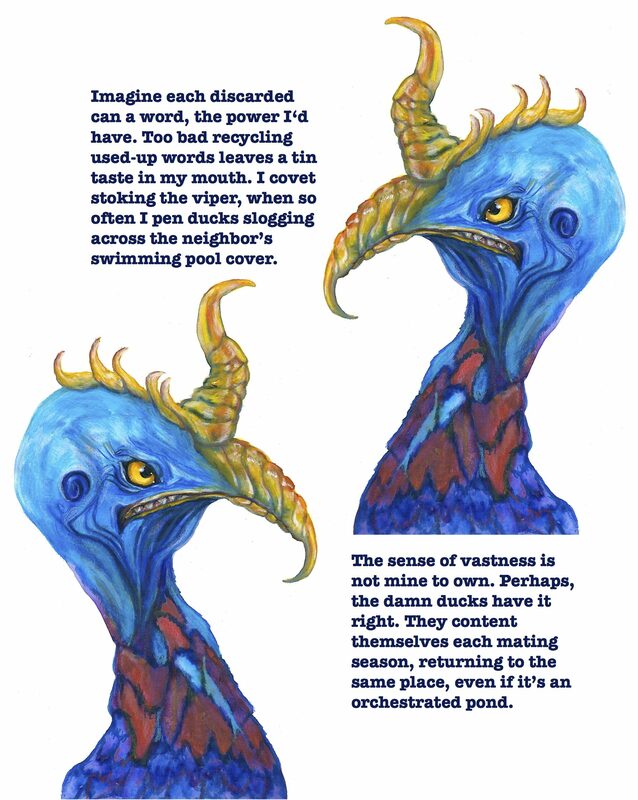 This entry was posted in My Art & Writing and tagged art, creating, creatures, inspiration, markers, muse, observations, poetry, prose, recycling, storytelling, symbolism, thoughts, writing. Bookmark the permalink. This is great, AM. I like the birfurcated verse. I can’t get over that 2nd verse, especially the last line–it hits me after each re-reading, such a surprise! Nice!